Thought to have been created in the 13th century, the Maciejowski Bible includes 46 folios of medieval pictures conveying Hebrew scripture. This Maciejowski Helm is a stunning Crusader helm designed in honor of this historic work. A piece of functional reenactment headwear, this helm is crafted from durable 18 gauge steel. Comfortable features include an adjustable cloth liner and a chin strap, making this a great helm for wearing during battles. The front of the helm features a cross pattern that is typical of Crusader helms, with openings for your eyes and holes on each cheek for breathing. 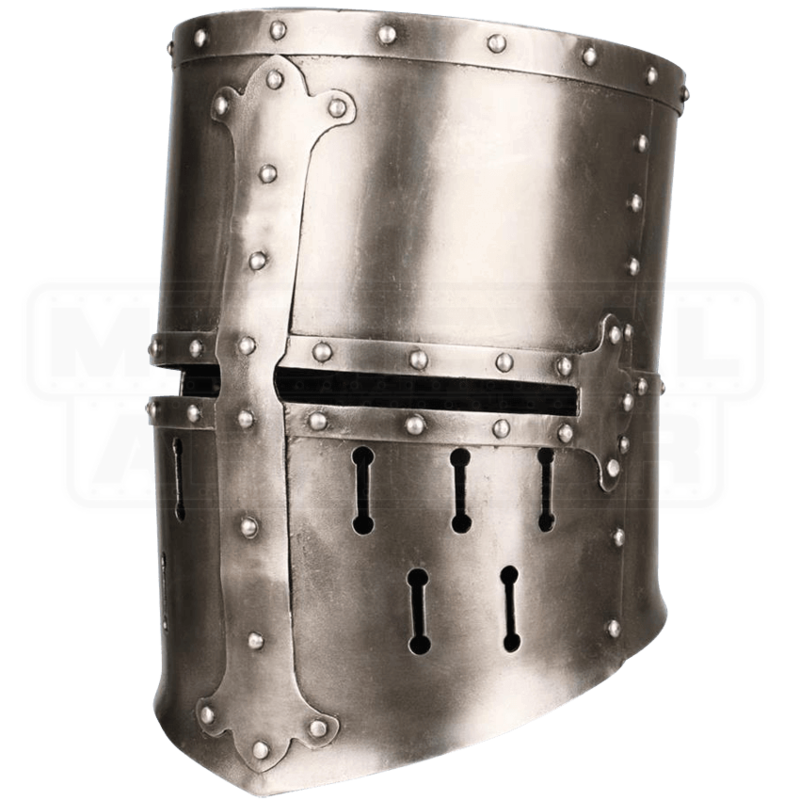 Make your Crusader suit of armor one to be envied with this Maciejowski Helm!